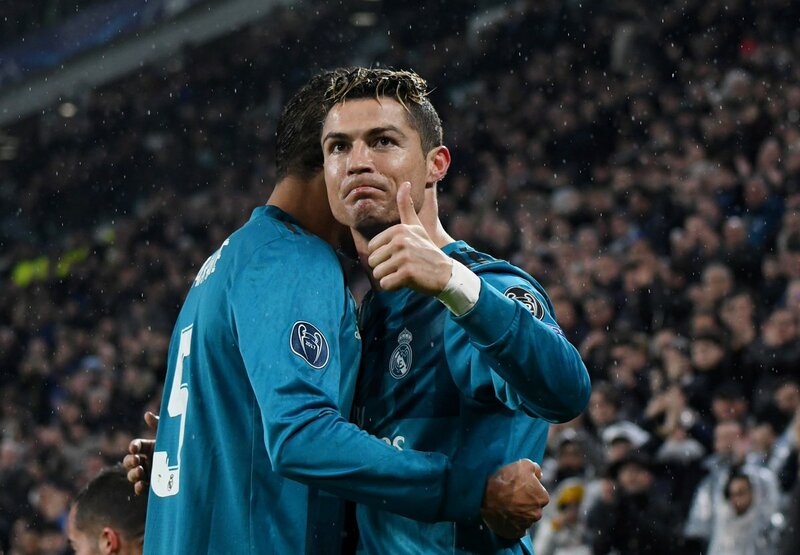 Cristiano Ronaldo scored a spectacular overhead kick as Real Madrid took firm control of their Champions League quarter-final against Juventus with a 3-0 first-leg win in Turin on Tuesday. Ronaldo finished from Isco's cross in the third minute to score in a record-breaking 10th consecutive Champions League match. But better was to follow as the 33-year-old earned a standing ovation from the home fans with a memorable strike in the 64th minute, launching himself into the air and sending an overhead kick flying past Gianluigi Buffon. 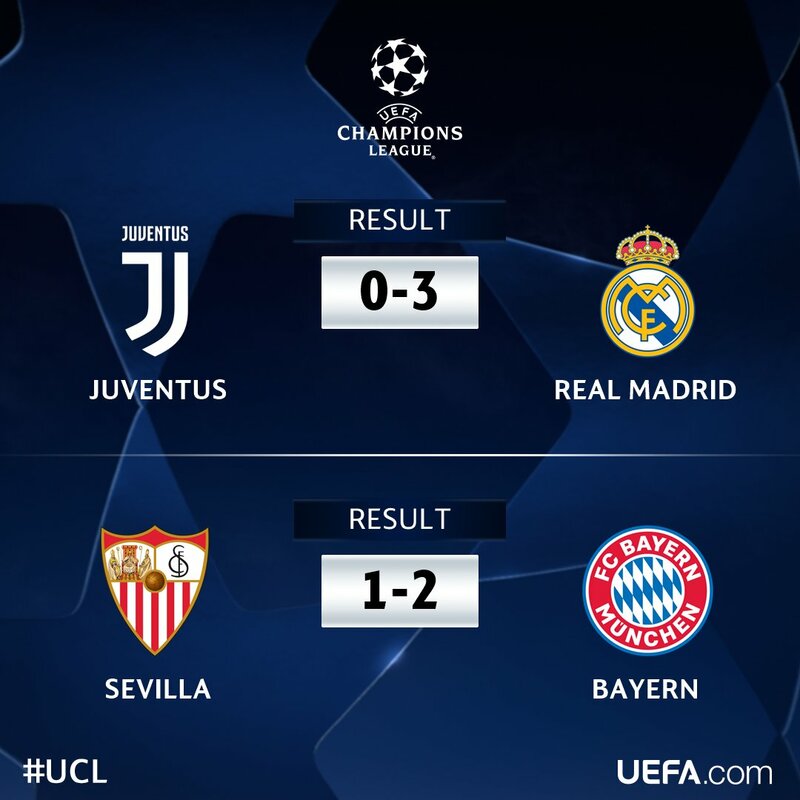 Paulo Dybala was sent off shortly afterwards for a second booking and Marcelo then bolstered Real's lead ahead of the second leg next Wednesday when he made it 3-0. The game, though, will be remembered for Ronaldo's moment of brilliance, which was his 22nd goal in the quarter-finals of the Champions League and one of the finest goals of his career. His first of the night came after just three minutes as Juventus - looking to avenge their 4-1 defeat to Real in last year's final - were caught cold, with Isco running into space down the left and crossing for an unmarked Ronaldo to finish from 10 yards out. 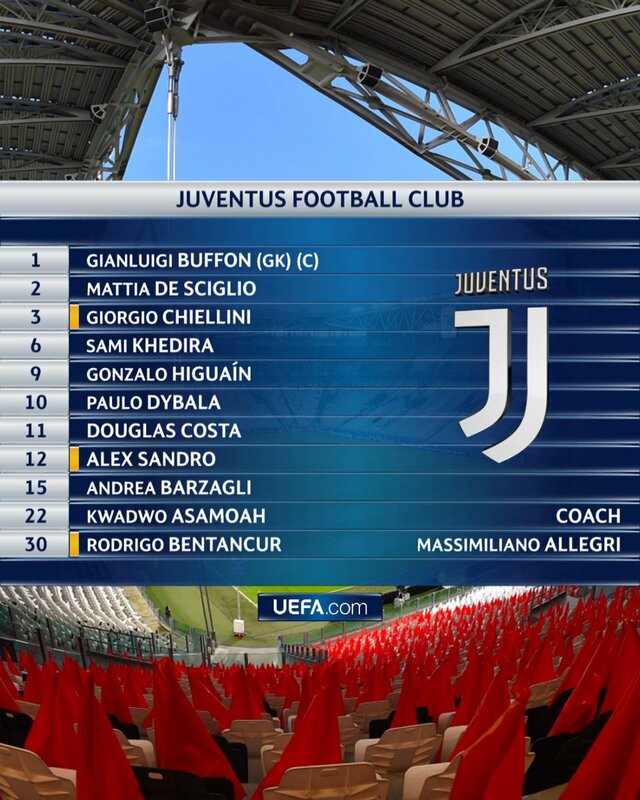 The hosts responded well to the early setback and Rodrigo Bentancur saw a shot blocked, Gonzalo Higuain shot at Keylor Navas from close range and Giorgio Chiellini miscued a header from a corner. Real's best opportunity to double their lead in the first half was in the 36th minute when Toni Kroos hit the bar with a shot from outside the box. The Serie A side continued to look threatening after the break and Dybala saw a free-kick deflect narrowly wide. However, Ronaldo's moment of magic and then Dybala's red card swung the tie firmly in Real Madrid's favour. Even the Juventus fans were on their feet and applauding after Ronaldo flung himself in the air and scored with a superb overhead kick. Those same fans were soon heading for the exits as Dybala was shown a second yellow for catching Dani Carvajal in the air and then Marcelo finished a fine team move to make it 3-0 in the 72nd minute. There could have been more goals as Mateo Kovacic hit the bar and Ronaldo blazed a glorious chance for a hat-trick over in injury-time. Juan Cuadrado then missed the chance to give Juventus a lifeline when he dragged a fantastic opening wide with the last kick of the match. Bayern Munich hold the advantage in their Champions League quarter-final tie with Sevilla after coming from behind to secure a 2-1 victory in the first leg in Seville on Tuesday. Pablo Sarabia put the hosts in front in the 32nd minute but their lead was short-lived as Jesus Navas diverted Franck Ribery's cross into his own net (37). After the break Bayern took control of the match and they were ahead after another stroke of luck when Thiago Alcantara's header (68) found the back of the net following another deflection off Sergio Escudero. Sevilla continued to cause the Bundesliga leaders problems, but Bayern held on to take what could be a crucial lead back to the Allianz Arena, where they have won 21 of their last 22 home Champions League matches. Buoyed by a boisterous home crowd, Sevilla started the tie brightly and should have been ahead when the ball dropped to Sarabia eight yards from goal. 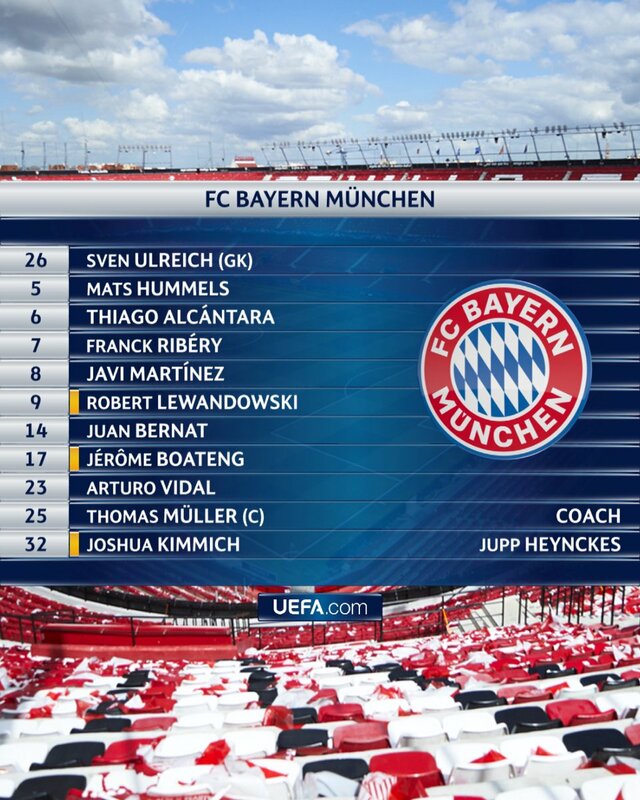 With only Sven Ulreich to beat, the 25-year-old fired wide of the target. The missed chance did not deter him, though, as he broke the deadlock in the 32nd minute, beating Juan Bernat to Escudero's cross before lifting the ball into the far corner of the net. owever, Bayern were back on level terms five minutes later. There was a stroke of luck in the equaliser as Ribery's cross deflected of Navas to beat the sprawling David Soria at his near post. 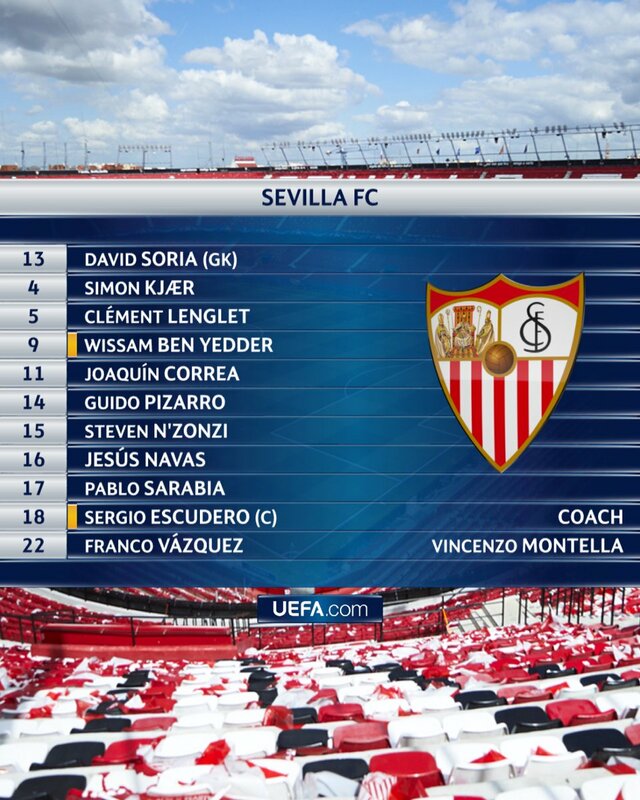 Despite the equaliser, Sevilla, who once again impressed on the big stage after knocking Manchester United out in the last 16, were nearly ahead again after the break with Franco Vazquez denied by a superb last-ditch challenge by Javi Martinez. But Bayern gradually grew into the second half and they almost took the lead in the 66th minute when Martinez's volley was brilliantly palmed over by Soria. 38 - Cristiano Ronaldo has now scored 38 goals in all competitions this season, more than any other player in Europe's big five leagues. 3 - This is #Juventus' biggest home defeat in all competitions since the Bianconeri moved to their new stadium in September 2011. 12 - Jupp #Henyckes (@FCBayernEN) is the first coach to win 12 consecutive games in the history of the champions league.